Rebecca Skloot talks with Stephen Colbert about The Immortal Life of Henrietta Lacks, irony insurance, and little-known Centipede Cells. Rebecca Skloot and members of the Lacks family talk with CBS Sunday Morning about Henrietta Lacks. 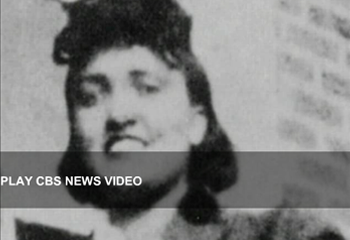 Dr. Manny Alvarez of Fox News Health Talk and Rebecca Skloot discuss the real ethical heart of the story: what happened to Henrietta Lacks’ family. Rebecca Skloot discusses The Immortal Life with Tavis Smiley and describes the reaction to her book, which remains on The New York Times best-seller list. Rebecca Skloot discusses The Immortal Life of Henrietta Lacks in an interview with host Terry Gross on NPR’s Fresh Air. Radiolab episode featuring exclusive footage of Deborah Lacks and scenes from Rebecca Skloot’s research tapes. Rebecca Skloot discusses her first encounter with HeLa cells, and her book on Henrietta Lacks, on The Bob Edwards Show. Rebecca Skloot talks about The Immortal Life of Henrietta Lacks on WHYY’s Radio Times with Marty Moss-Coane. Rebecca Skloot discusses ‘Common Reads’ programs and The Immortal Life of Henrietta Lacks on NPR’s Talk of the Nation. Chosen as a Best Book of the Year by more than 60 publications, including New York Times, The New Yorker, People, USA Today, O, The Oprah Magazine, NPR, Boston Globe, Financial Times, Los Angeles Times.